Book a Private, Semi-Private, Intimate Group, or Group Class in our Home Kitchen. Get some friends together and reserve your date! If you are interested in any of our workshops, please contact us to request a date. We'll be looking forward to cooking with you! All our Mexican and International workshops are taught by Chef María Amalia Garza. When you come to a class, we gather in the kitchen, introduce ourselves and after a short explanation of the menu and ingredients, we get right to work. After we're done cooking, we sit down to enjoy the fruits of our labour. If you like, you are welcome to bring your favourite knife and apron. The menus posted here are guidelines. Please bear in mind that they may change based on ingredient availability. When workshop is held at another venue, or at client's home, different pricing applies. The Cultural Kitchen, its instructors and employees are hereby released from all responsibility for any injury, loss, or damages sustained by its guests and their property while on the premises during its events. There is a $15.00 charge if you cancel within 7 days before the class date. A refund or transfer is available up to 7 days before the class is scheduled to begin. No refunds or transfers will be given for missed classes. We reserve the right to cancel or postpone classes, in which case you will be notified and fully reimbursed or offered a credit. There is a $15.00 charge for N.S.F. cheques. The following are sample menus, ranging from the basics, to intermediate, to skill building levels. All these classes are available upon request. Gather a group of friends together and book your class! Learn the basics of Mexican Cooking. In this workshop we learn how to make Tortillas de Maíz (corn tortillas), Frijoles Refritos (refried beans), Arroz Blanco con Plátano Macho (white rice with plantains), Enchiladas Suizas (enchiladas with green salsa), and to finish Ate con Queso (fruit gel with cheese). Basics of Mexican cooking beginning with Guacamole, Tortillas de Harina (flour tortillas), Salsa Roja (red salsa), Chorizo (spiced pork sausage), Queso Flameado (broiled cheese with chorizo), and Frijoles a la Charra (ranch style beans). November 2 is the Day of the Dead in Mexico, and the dead are remembered and honoured during this celebration. At home, in stores and cemeteries people build altars made up of flowers, food, skeleton figurines and photographs to honour their loved ones. There is no place like Oaxaca to experience this celebration and that’s what we’re cooking in this class. We’ll start with Sopa de Hongos (Mushroom Soup), Pipián Verde de Pollo (chicken in green Pipian sauce), Arroz con Hierbas (rice with herbs) and for a sweet ending you can sample Pan de Muertos (sweet bread). Travel with me to my home area in North-Eastern Mexico and learn to make traditional dishes such as Asado de Puerco (stewed pork in ancho chile salsa), Salsa de Chile de Árbol (tomatillo salsa with chile de árbol), Frijoles Refritos con Tomate y Cebolla (refried beans with tomatoes and onions), Calabacitas Rellenas de Queso (cheese-stuffed zucchini), and Arroz con Leche (rice pudding). Have you ever tried those pointy dark green beauties called “Poblanos”? These are some of the Mexicans’ favourite chiles because they are so versatile. Come on out and learn how to make Sopa de Chile Poblano (Poblano chile soup), Rajas Poblanas (Puebla style strips of roasted poblanos – with cream and onions), Chiles Rellenos de Queso con Arroz (chorizo and cheese stuffed poblanos) and a delicious cucumber cooler. Corn is considered Food of the Gods in Mexico. In this class we will work with “Masa”, Mexico’s corn dough. We will make some of the most popular “antojitos”: Sopes de Papa (potato sopes), Tostadas de Pollo (chicken tostadas) and Gorditas de Manteca , as well as a “Salsa de chile seco” (dried chile and roasted tomato salsa) to go with them. We will also make an “Agua Fresca de Jamaica" (hibiscus iced tea). Mexico has the best variety of soups, from creamy, luscious concoctions to the spicy, brothy and exciting flavours. In this class we will make a variation of the famous Tortilla Soup, Crema de Calabacita (cream of zucchini), and Pozolillo (pork and corn soup with tomatillos). The food of Yucatán is one of Mexico’s most representative cuisines, with its deep Mayan roots. Come out and learn how to use Achiote, the annatto seed paste combined with pork and citrus juices to make the most delicious “Cochinita Pibil”, eaten along with “CebollitasEncurtidas” (pickled red onions). We will also make “Pellizcadas con frijoles y queso” (a popular masa “pinched” tortilla topped with beans and cheese) and the fiery “Xni-Pek” (habanero chile salsa). 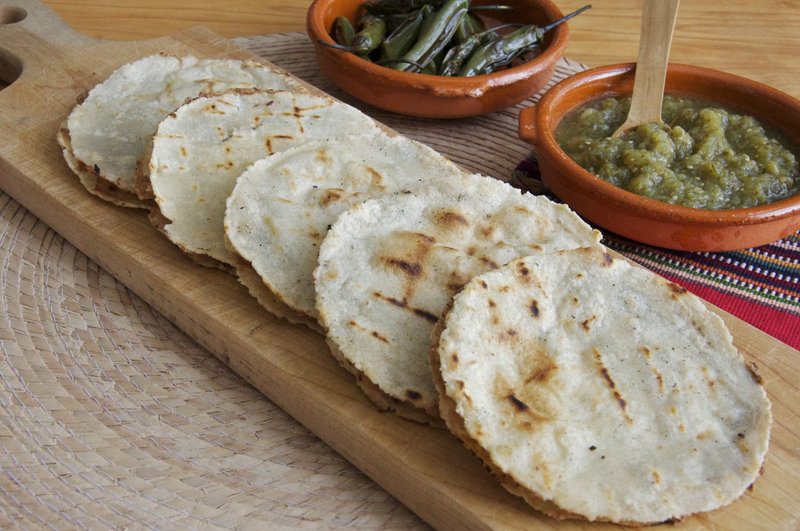 These popular street snacks are very well-loved by Mexicans. They are little - or big - corn boats, crowned with a variety of delicious toppings that will make your mouth water. Come on out to learn how to make three different corn boats, from the tiny Sopes to the long shoe-sized huarache, along with two different salsas. Come find out what it is that Mexicans love about Antojitos! Enjoy Verduras con Chile y Limón (carrots, cucumber and jicama with chile and lime), Sopes de dos tipos: Papas con Chorizo (tortilla boats with potato and chorizo) y Tinga de Pollo (tortilla boats with spiced shredded chicken) and Pico de Gallo (bird's beak salsa). Tomatillos are fortunately becoming more widely available in the area, so come on out and learn how to use them. We will make “Chile de Uña” (fresh tomatillo and chipotle salad), Chilaquiles Verdes (tortilla chips in tomatillo sauce), and “Enchiladas Suizas” (chicken enchiladas in tomatillo sauce). Come out and learn about Mexico’s secret weapon: the dried chile. You will learn the different techniques for using them as well as prepare very traditional dishes with them. We will make Salsa Negra (black salsa), Red Pipián (chicken in red chile and sesame seed sauce), Arroz a la Mexicana (Mexican red rice with peas and carrots), along with a fruit cooler. Tamales are traditionally prepared for fiestas, christenings and during the month of December, for the Posadas and old-fashioned Christmas Eve dinners. When we think of Tamales we think of a group getting together for a mass production - they are not hard to make, but are time consuming; so in Mexico it has always been a social occasion and in this gathering everyone works! Tamal workshops are held on weekend mornings or afternoons, They can run up to 5 hours, and require a minimum of 6 students. This class is for the true Aficionado! Making mole from scratch is not something everybody tackles, but if you truly want to taste a great mole, come to this class! We will make Mole Rojo Oaxaqueño (Oaxacan red mole), accompanied with Arroz a la Mexicana (red rice, with carrots, peas and corn), and for dessert Plátanos con crema (plantains fried in butter served with sweet cream). Believed to be one of the healthiest diets in the world, this Mediterranean menu is everything good for you. We'll make Tomato Basil Bruschetta, Quinoa Tabouleh, Broiled Salmon with Sundried Tomato Relish and Minted Fruit Salad with Vanilla Yogurt Sauce. Join us as we explore some of the island's favourite foods! We'll make Tostones (fried plantain chips), a delicious and garlicky Congrí (black beans and rice), Cochino al Horno (marinated lemon garlic pork). Come out and make Spain's national specialties. We will start our meal by making the iconic Pan con Tomate and Tortilla Española, followed by a spectacular Paella and 17th Century Hot Chocolate, for a sweet ending. 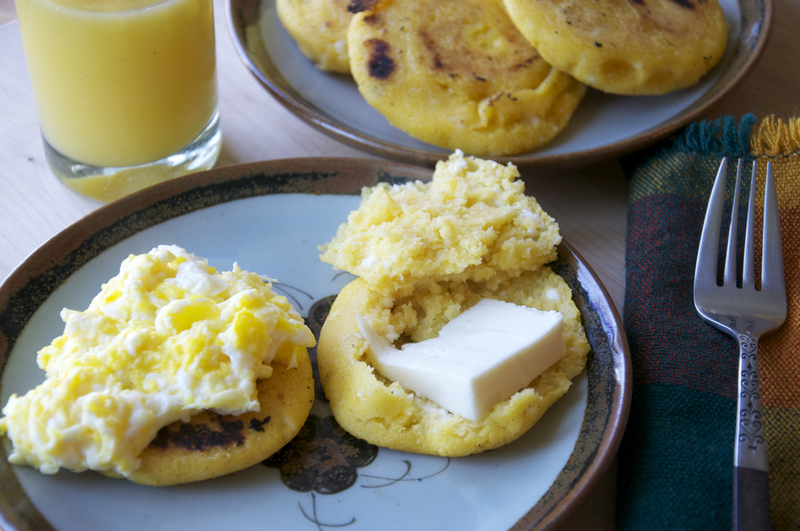 Let's travel to South America and learn how to make Colombian Ají (fresh hot pepper sauce), followed by Arepas de Queso (cheese arepas). We'll then go on to make Salmón con Ají (grilled salmon fillet with ají) and for dessert we'll make baked Bananas stuffed with Guava paste. Moroccan food is so exotic and full of flavour! Join me in the kitchen and we'll make a raw Harissa Carrot Salad, Tagine of Chicken with Green Olives and Pickled Lemons, a delicious Couscous with Vegetables and the traditional Mint Tea. Let's travel the ancient Spice Route in this class. On our menu: Pelion-style Greek Salad, Caper and Olive Tapenade on toasts, and Sri Lankan Spicy Shrimp Curry served with an aromatic Rice Pilaf. Oh.... la bella Toscana... what would you give to be there right now? Well, I can help transport you by cooking up this meal! Learn how to make the simplest but most delicious Panzanella (Tuscan Bread Salad), Crema di Porri (Cream of Leek Soup), and Pollo alla Cacciatora (Hunter-style Chicken). Let's travel to Thailand and explore the flavours and aromas of this exotic cuisine. On the menu: Thai Noodle Salad, Easy Red Chicken Curry and Jasmine Rice, followed by Grilled Pineapple with Coconut Dipping Sauce. Come join us to tap into the secrets of this highly spiced cuisine! On themenu: Tomato, Onion and Cucumber Salad, Chicken Tikka Masala, Rice Pilaf, Potato Masala, Raita, and Yogurt and Cardamom Dessert. Get your hands in the dough the Italian way! Try rolling out your own pasta and make delicious Fetuccine Alfredo, then we will follow that with a Veal Picatta and for a sweet ending Roasted Balsamic Pears with Honeyed Goat Cheese. I invite you to join me in the kitchen to learn some of Sicily's most famous dishes: Involtini di melanzane (eggplant rolls), Pasta al pesto Trapanese (pasta in tomato almond pesto) and Cassatine di ricotta alla cannella (ricotta and cinnamon tartlets). Come join us to make a garlicky Roasted Eggplant Dip, followed by refreshing Cucumber and Yogurt Salad, Tomato Rice Pilaf and Mixed Meat Souvlaki. For a sweet ending we will make Almond and Orange Shortbread. The food of Lebanon is exotic, healthy and delicious. Join me in the kitchen and learn how to make Roasted Red Pepper Hummus, Green Beans with Tomatoes and Mint, Lamb Kebabs with cumin yogurt sauce and Date and Pecan Phyllo Rolls. Come on out and learn that French cooking can be easy. We will make a delicious Salade Niçoise, followed by Escalopes en Capilotade and Baked Tomatoes with Goat Cheese. To finish, we will make a Tarte Tatin. If you or your kids are heading out to University, this is the perfect class to attend! Let us show you how to shop smart and healthy, as well as prepare simple and delicious international meals for yourself. On the menu: Vegetable Stir-fry with rice noodles, Mexican Pizza and Chocolate Banana Pudding for a sweet ending. I don't know about you, but I'm crazy about noodles - in all shapes, sizes and textures! Join me in the kitchen to make some of my favourite noodle dishes from the Asian world: Paad Thai, Hoisin Noodles with Shrimp, and Japanese Cold Soba Noodles with Cilantro and Chiles. Phyllo is very easy to work with and is very versatile because you can make sweet or savoury dishes with it. Come out and learn how to make Spanakopita (Greek spinach and cheese pie), Creamy Salmon and Dill Tart and Fresh Fruit in Phyllo Squares. Spain's favourite pastime is bar hopping, and the food of choice is Tapas. We'll start the evening with Tortilla Española (potato, egg and onion frittata), Champiñones al Ajillo (garlicky mushrooms), Camarones Enchilados (chile shrimp), and Manchego and Quince bites. One of the most popular items on an Italian menu is hand-rolled gnocchi. Come to this class and learn the secrets of making the lightest most delicious gnocchi! We will be making potato gnocchi with cream, peas and prosciutto, sweet potato gnocchi with brown butter and sage sauce and spinach ricotta gnocchi in tomato sauce.